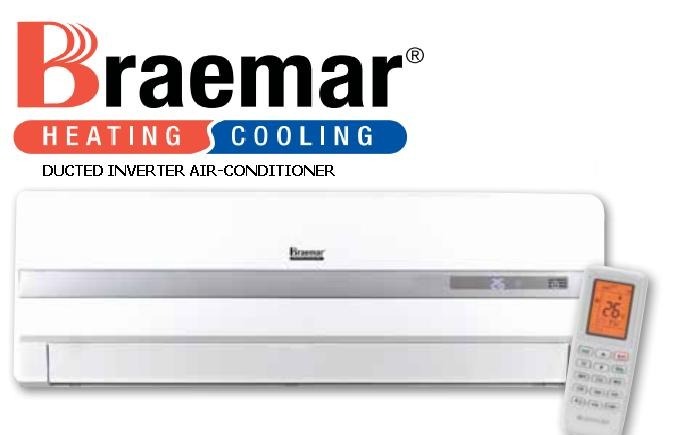 Braemar has developed a reputation for excellence and reliability with its award-winning gas heating range, as well as its market-leading evaporative air conditioners. Braemar is Family Owned Amanufactured in Australia by Seeley International, a certified quality endorsed company. Braemar ducted gas heaters help reduce your energy use, while delivering heat fast – zone by zone. On the cooling side, Braemar evaporative air conditioners are reliable and economical, whether you’re looking for a comfortably cool home or commercial environment. Offering a complete cooling and heating solution, Braemar ducted gas heating can be easily combined with integrated refrigerated cooling or evaporative air conditioning to providequality 125 comfortable temperatures all year round. All Braemer air conditioners have demonstrated their reliability here in Perth, and are provided with a standard 5 year manufacturers warranty, even when installed in commercial buildings. As the largest and most successful Braemer Dealer in WA, Mouritz ensure their clients are provided the best warranty, and after sales service, along with stocking spare parts to ensure you’re always kept cool when you need it.